Purulia, February 6: ‘How is the khauf Mamata Banerjee?’ Trying her level best to stop Bharatiya Janata party rallies in her state, Mamata Banerjee displayed to what level she can move to use undemocratic ways. When Uttar Pradesh Chief Minister Yogi Adityanath took a road way to address his rally in Purulia, the public came to hear him in huge numbers. 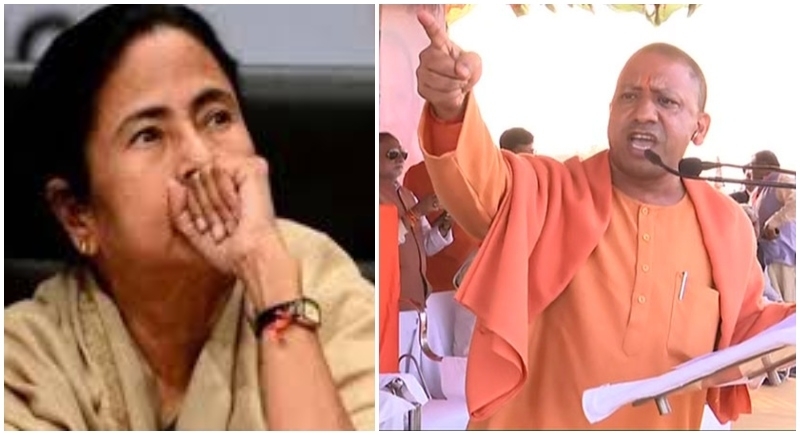 Unveiling the real face of Mamata Banerjee, UP CM Yogi Adityanath showed how the Chief Minister neglected the upliftment of the poor people in West Bengal and has not done any productive development for the people in the state. Depriving people from enjoying and benefiting from basic necessity the corrupt WB Chief Minister has cashed in the money for corruption. Adding further, Yogi Adityanath said that the people in the state are deprived from electricity connection while the rest of the nation is illuminating in lights. People have been able to have basic electricity connection in their houses. But in West Bengal, the people are still waiting for it. Besides, the Bharatiya Janata Party has pledged for ‘housing for all’ and has been successfully gifted people ‘pakka ghar’ which has no signs in West Bengal. The poor are still unable to have their own house. While Mamata Banerjee claims to work for betterment of her state, says she will look after her state, what development has been done? The people have not been given basic gas connection. Under the leadership of Prime Minister Narendra Modi the rest of the nation has been benefitted by gas connection through Ujjwala Yojana but West Bengal has not even accepted this scheme of the government. Being the Chief Minister of the state for such a long time, there is no hint of development nor the people of Bengal have been given their basic necessities. Mamata Banerjee even pulled back from establishing the Ayushmaan Bharat in her state because she doesn’t think about the people of her state. For her, her ego matters more than the people. Mamata Banerjee with her TMC goons has always kept herself higher than the people of the state. The money which should have been used for the development of the people is used for her own benefits and therefore the corruption. After the chit fund scam coming into highlight, the entire nation and specially the people of Bengal have realised how corrupt is Mamata Banerjee. Lastly, CM Yogi Adityanath said that when BJP comes into power in West Bengal, the state will glorify and the people will be benefitted with all the rights and beneficiaries meant for them. The state of West Bengal will once again be called ‘Shonar Bengal’.